The tenant information release is a legal document that provides authorization from a potential tenant to a landlord or property management company, so that they may have permission to review past rental history information, included but not limited to: length of residency with previous properties, rental amounts paid in the past, rental payment history, the condition of the apartment the tenant’s departure, and of course, any issues concerning compliance with or pertaining to the signed housing agreement. 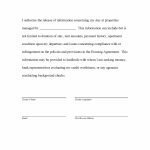 The document will also provide permission for a landlord or management representative to initiate a background check and/or credit worthiness. 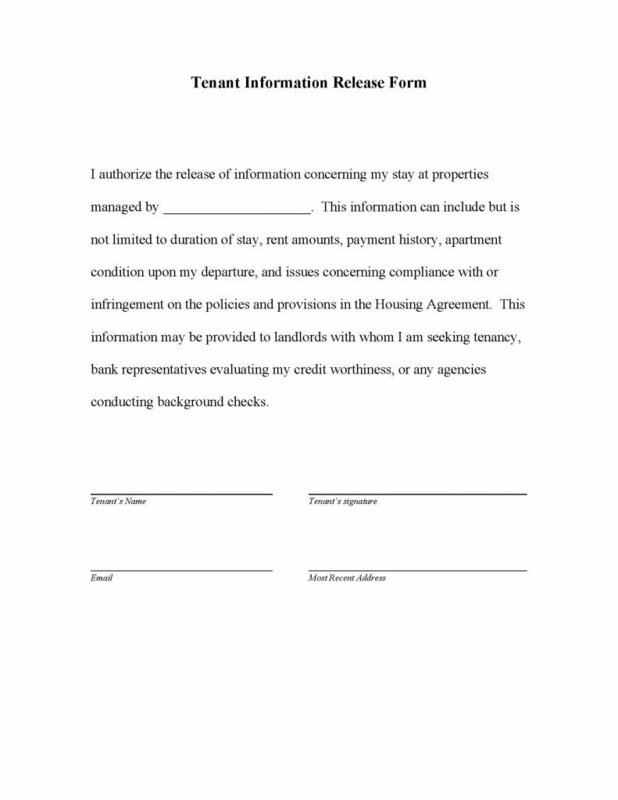 It is highly recommended that the potential tenant, take the time to carefully review this document prior to completion and application of signature inasmuch as many aspect of the tenant’s personal information could be reviewed by more than one landlord or property manager.